History is all around us, in our own families and communities, in the living memories and the experiences of older people who experiences moments in history first hand. We have only to ask them and they can tell us enough stories to fill a library of books. This kind of history - that we all gather as we go through life - is called ORAL HISTORY. Everyone has a unique story to tell about their life and the events that brought them to present day. Some people have witnessed firsthand significant moments in history; others have experienced hardships that put modern life into perspective. These are stories we are excited to tell. Capturing an individual’s oral history fills in the gaps and gives us history which includes a unique perspective. Unfortunately, because memories die when people do, if we don't record peoples’ life histories they are lost forever. Ben's interest in recording oral histories began in 2004 with his grandfather, Pete Wydeven, who was born in Holland in the 1920's, and while on camera, recalled the hard times of World War II in Europe. ...or maybe you've never heard them before! This is Ken. 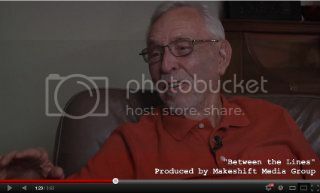 In September 2012, Ken’s daughter hired me to capture Ken’s story which covered his tour of duty with the 2nd Marine Division during World War II. 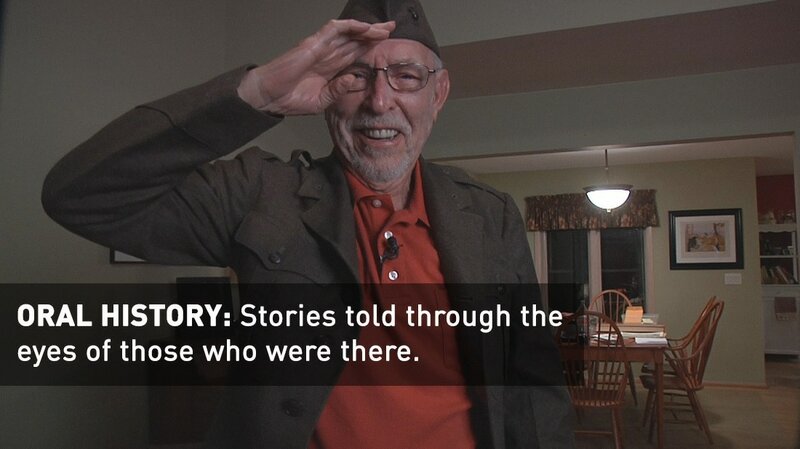 Ken was among the first American troops to land on Nagasaki after the bomb fell. We can capture your unique story too. Contact us for further details.